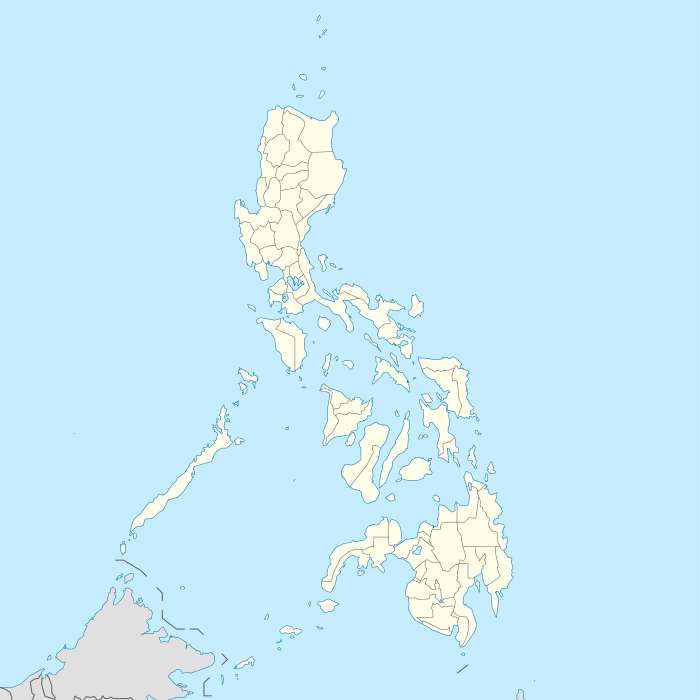 Romblon (/rɒmˈbloʊn/ rom-BLOHN) is an archipelago province of the Philippines located in the MIMAROPA region. Its main islands include the largest, Tablas which covers nine municipalities, Sibuyan with its three towns, as well as the smaller island municipalities of Corcuera, Banton, Concepcion, San Jose, and Romblon, the provincial capital. The province lies south of Marinduque and Quezon, east of Mindoro, north of Aklan and Capiz, and west of Masbate. According to the May 2010 Philippine census, it has a total population of 283,930 people. According to legend, the name Romblon was derived from the Romblomanon word "Nagalumyom", which pertains to a chicken in the act of sitting on its eggs on a nest. This eventually evolved to Lomlom, and later on to Donblon, the name reported by chronicler Miguel de Loarca in his book Relacion de las Islas Filipinas in 1582, before finally evolving to Romblon. Meanwhile, local historians Roland Madeja and Evelyn Reyes relates the origin of the name Romblon to the shape of Romblon Island. Madeja claims that the name was derived from the Spanish word ronblon, another term for tornillo, meaning "screw." 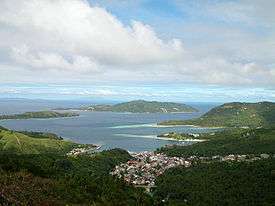 According to him, the Spanish claimed to have observed the screw-like shape of Romblon Island. Meanwhile, Reyes claims Romblon originated from "doubloon", which refers to the Spanish coin used by Moro pirates in paying dowries for their brides-to-be. The Spanish might have named the island after the shape of the coin. Romblon is an island and a province of the region of Mimaropa, Philippines. The capital has the same name, Romblon. One of its municipalities, the Banton, is the geographical heart of the Philippines, as it is the most central of the country. Romblon province is composed of many islands of the Sea of Sibuyan. It is located south of Marinduque and Quezon Province, east of Mindoro, Aklan north of and west of Masbate. The three main islands are self Romblon Island, where the capital is located; Tablas Island, the largest of the province; and Sibuyan Island, the easternmost. There are also four smaller island: Banton(Jones), Simara(Corcuera), Sibale( Concepcion) and Carabao Island(San Jose). Approximately 187 nautical miles (346 km) south of Manila, Romblon islands are located in the Sibuyan Sea, south of the island of Marinduque and north of Panay. To the east is the island of Masbate and Mindoro in the west. I feel the rumblin' in her ground. Don't you recognize that sound that sound?